By God’s grace and the sustained efforts of evangelists, missionaries and church planters, we are experiencing an unprecedented expansion of the world Christian movement-particularly in the global south. Yet today, 80% of the non-western Christian Church lives in a context of overwhelming need. Many countries where Church growth is the most dramatic are groaning due to intractable poverty, rampant disease, political corruption, dysfunctional societies, wasted resources and misguided foreign aid. The Church is hungry for answers to these problems. We are convinced that God has raised the Disciple Nations Alliance to address this hunger. 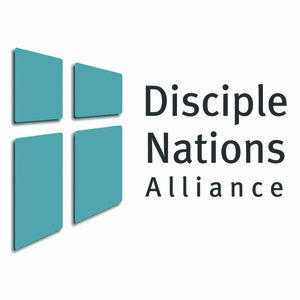 Since its inception in 1997, the Disciple Nations Alliance has been used by God to give fresh hope and vision to thousands of Christian congregations in more than 40 nations: Hope rooted in God’s ancient promise to Abraham that all nations will be blessed through his offspring (Gen. 12:1-3). Vision brought to life as the church sees itself as God’s primary solution to the brokenness of their nations. God loves all nations, and today, He is awakening His Bride to her central and strategic mission of bring comprehensive healing to the nations (Col. 1:19-20). The Disciple Nations Alliance “school of thought” presents a Biblical worldview as the key to cultural renovation. Our training programs provide churches with practical, replicable tools that enable them to begin the healing and transformational process in their own communities using existing resources. Not surprisingly, churches that have put Disciple Nations Alliance training into practice consistently experience a marked growth as people in their surrounding communities experience the power of God’s healing love in practical ways. Well done DNA team. I’m very impressed with your blog. Not only a great looking site, but rich with great very thoughtful content. Fantastic! I am seeking assistance for a project that has started in DR Congo to teach young widows to read write and have some knitting and sewing skills to help become self supporting. Do you have any such, or are you in a position to consider an application from them, for finance for their project. An Anglican pastor Stephane Makata found 26,000 young single mothers during one of his evangelical missions and immediately started this project with some finance just from two retirees in Australia.